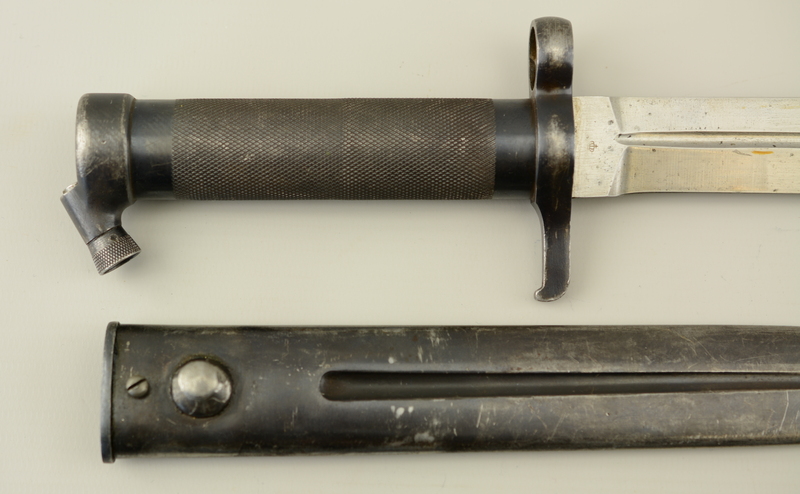 Description: This is a nice clean Swedish Model 1896 bayonet and scabbard. 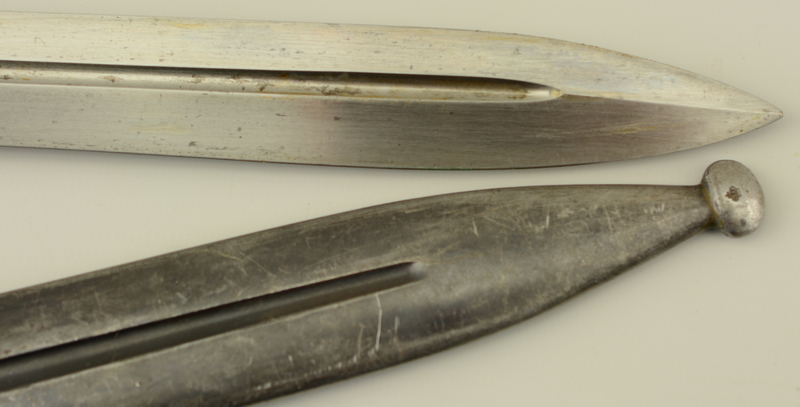 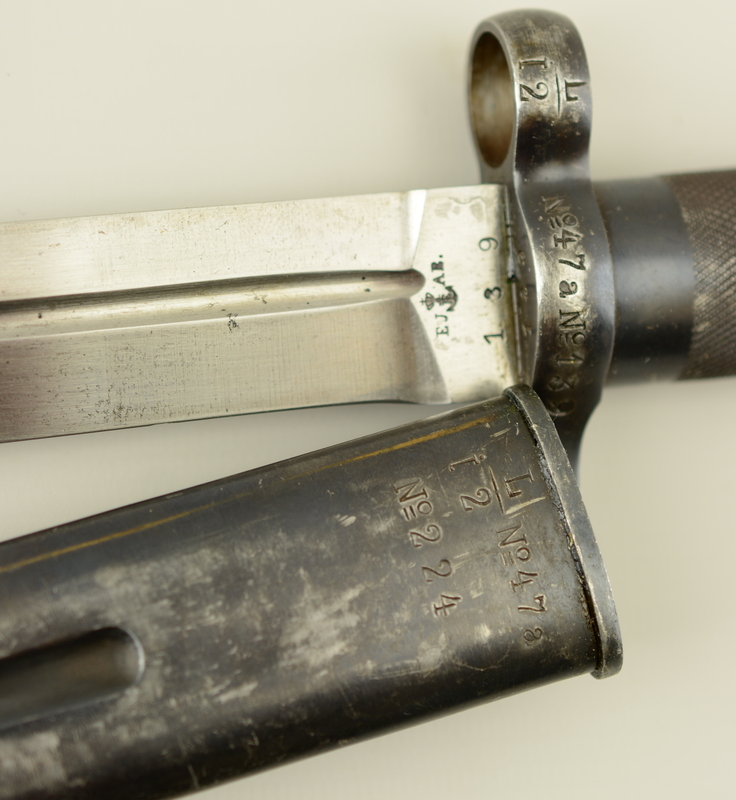 Numbers don't match, but we believe bayonet and scabbard were issued to the same unit as the bayonet is marked "L/L2/No 47/a/No 139" and the scabbard "L/L2/No 47/a/No 224" Bayonet is 13" overall length with an 8 3/8" single edged and fullered blade. 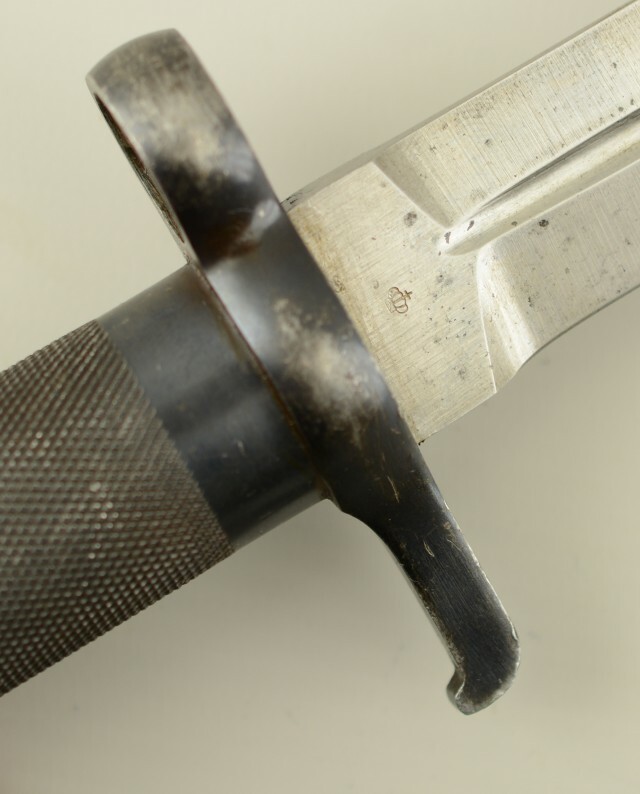 Blade is quite bright and the grip, guard and scabbard retain strong original blue.